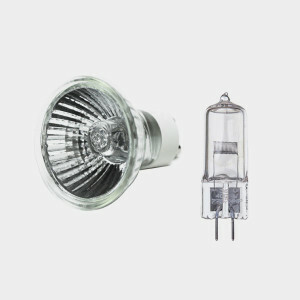 Broken halogen bulbs can release mercury vapor. If one breaks, clear people and pets out of the room, and then air it out for five to ten minutes. To stop the vapor from spreading, also shut off the heat, ventilation and air-conditioning.